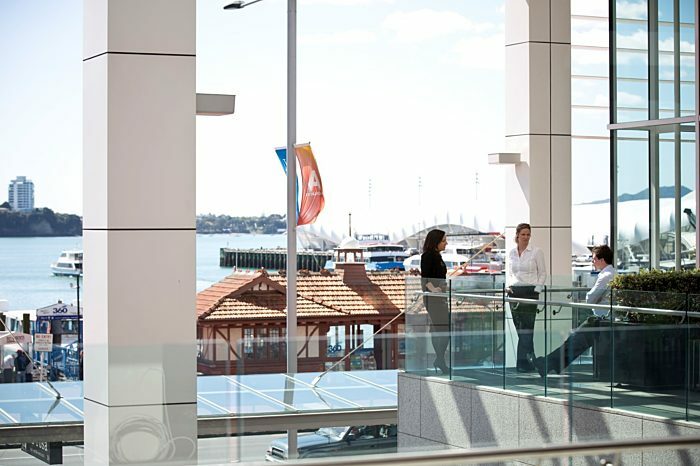 188 Quay Street is widely considered to be one of New Zealand’s best premium commercial buildings, located at the foot of Auckland’s CBD with uninterrupted views of the Waitemata Harbour. As part of the Commercial Bay precinct, 188 Quay Street will be connected via an airbridge to world class retail and hospitality, the best of the area’s existing buildings and the new PwC tower. This will create an integrated and seamless environment that increases client and staff engagement and fosters business collaboration. With spectacular 360-degree views and a 2.7m floor to ceiling height, the 29-level tower is well designed to maximise both waterfront and city views. The typical 1,358m² triangular floor plates with central core offers fitout efficiency through a 10.5 metre perimeter distance from core to wall. The absence of columns further enhances the efficiency and facilitates an open, collaborative and agile working environment. The building offers the amenities and services you would expect in a premium grade tower including; a hotel quality lobby with an onsite concierge, 24/7 security, stand-by generator, high speed destination-controlled lifts and quality end of trip amenities alongside secure bike parking. All of Auckland’s major transport connections are within a two-minute walk including ferries, buses and trains. In addition, 355 covered car parks are situated within the building, with additional parking available in the Downtown car park adjacent. - View the Commercial Bay site here. 188 Quay Street is widely considered to be New Zealand's most advanced and prestigious commercial office building. 188 Quay Street contains state-of-the-art building technology and services, and its unrivalled location puts Auckland's waterfront virtually at its doorstep. 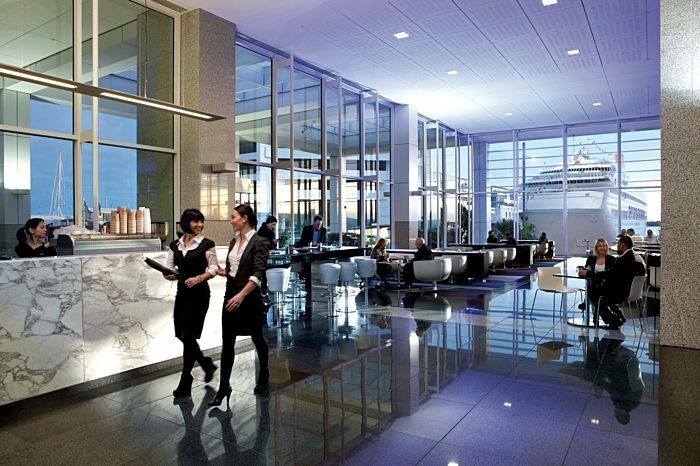 The 29-level tower includes a spacious public lobby housing a superb cafe and restaurant, a smaller atrium leading to high-speed lifts, and provides 11 retail spaces. 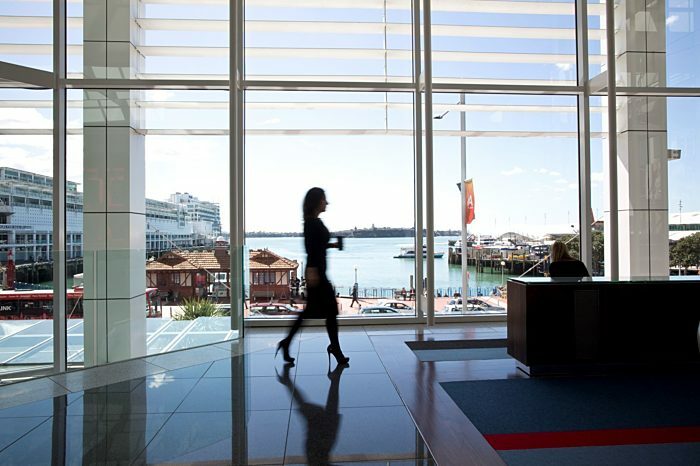 The office levels feature some of the largest column-free floor plates in New Zealand, supported by first-class services and amenities, including an onsite concierge service and 355 car parks. Its front-row position on Quay Street ensures spectacular views over Waitemata Harbour, the Viaduct Basin, and the Hauraki Gulf. 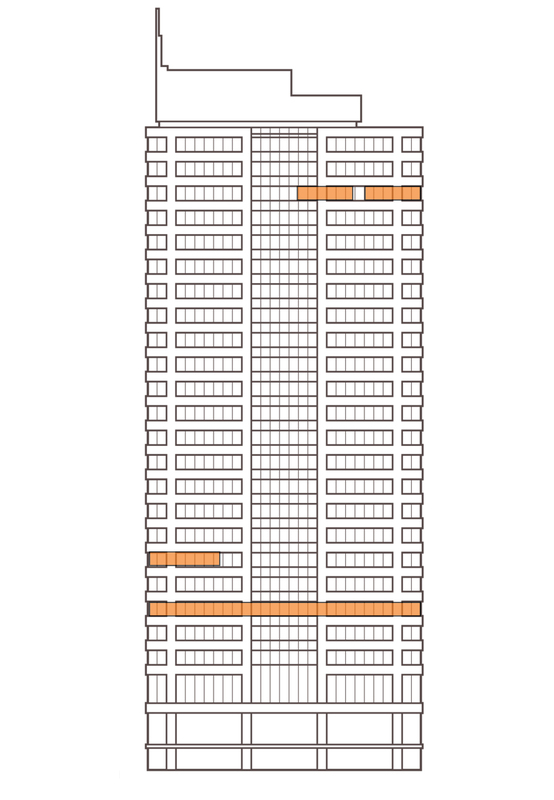 Talk to Chris about leasing space in the PwC Tower. Uninterrupted views of the Waitemata Harbour.